Links Magazine is one of the premier golf mags in the world. Rich, glossy pages about some of the finest courses, equipment and culture in the golfing world. Obviously, we were pretty excited when this came out last week in their HotLinks issue. The review begins with a very simple premise that we stress here in the shop, “Your clubs are custom-tailored to your physique and your game, now you can equip yourself with prescription sunglasses made with the same care and craftsmanship.” It’s a difference in construction and in quality. A distinction between off-the-shelf versus custom. A statement of the effort (and not necessarily the money) you’re willing to put into an integral piece of golf equipment. Ultimately, whether we’re talking about clubs or eyewear, it’s a question of whether you want the best possible option or not. Clearly, we don’t have to explain this to the guys at Links Magazine. – Our lenses are custom-ground to our proprietary formulas. – The writer opted for the Polarized Rose-Copper lens in the Oakley Jupiter Sqaured. A fine choice. – “Worth the wait and the price.” Yes. Three weeks and a few hundred dollars for a custom-made prescription product that also looks really cool. We think it’s fair. 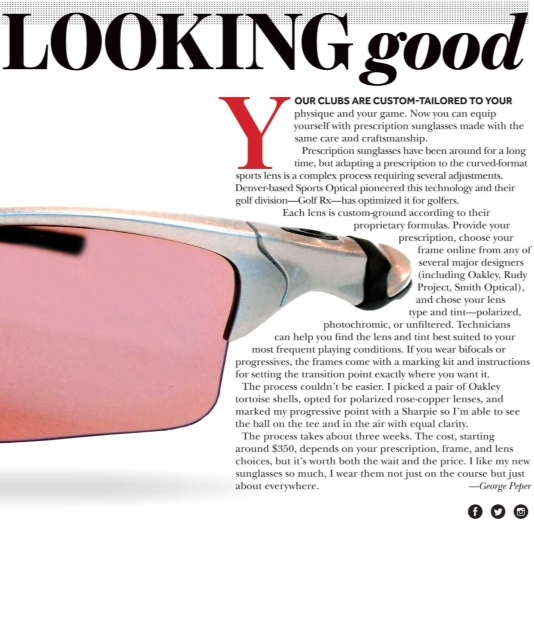 Thanks again to Links Magazine for writing about the finest prescription golf glasses in the world. Anyone else enjoying this? Lots of great golf on display, plus some great shades. What an incredible event! 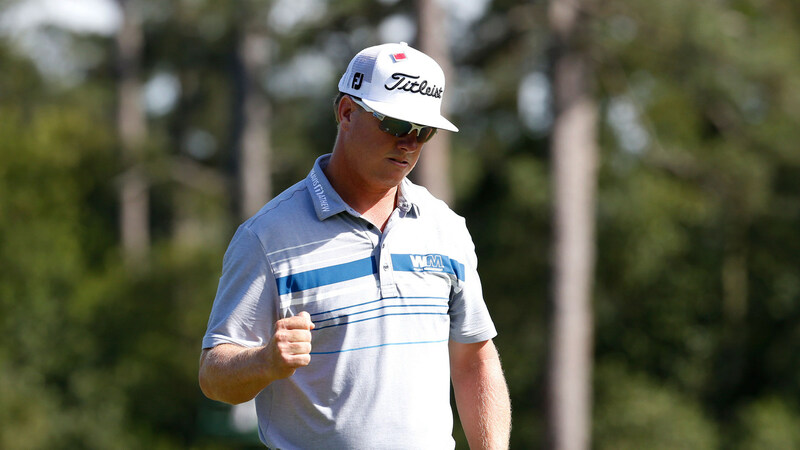 Above: Charley Hoffman in his Oakley’s.